Blizzard’s own Heroes of the Storm made a name for itself in the MOBA genre. 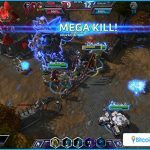 Join in on the fun and action when you place Bitcoin bets on this eSports game. 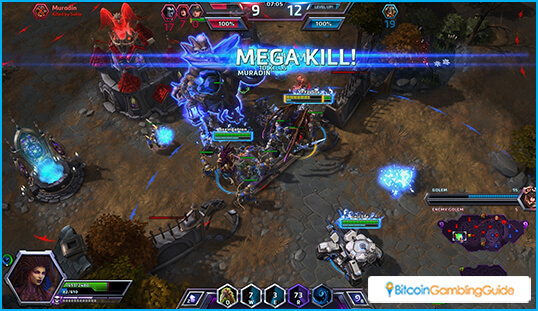 Heroes of the Storm is Blizzard’s answer to Valve’s Dota 2 and Riot’s League of Legends. The most outstanding feature of Blizzard’s own MOBA is its heroes, which are characters from their own different games. Fans are finally able to pit Diablo’s famous demons against the champions of the Hordes or the heroes of Overwatch. 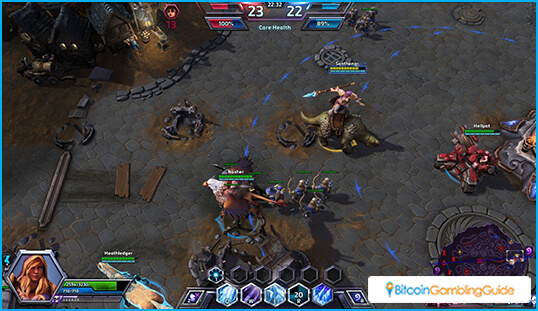 Heroes of the Storm gameplay shares the same depth as its other famous rivals. It also adds new twists to the roles of the heroes and map itself. This is why almost every Bitcoin eSports matches of this game is always fun to watch and make wagers on. Even though Heroes of the Storm plays like a MOBA game, Blizzard tags this game as a ‘Hero Brawler” genre. This is in reference to the many different playstyles available in the game. Many fans also consider it as Blizzard’s way of separating itself from its competitors. 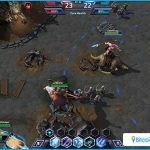 In a way, it might be Blizzard’s attempt of disconnecting the game from the popular Dota 2. 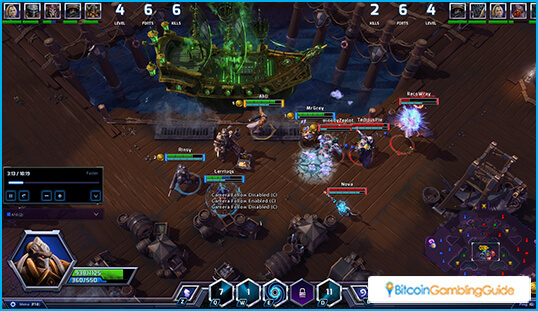 Heroes of the Storm started as a custom map in StarCraft 2 called ‘Blizzard Dota’. Since Valve now owns the trademark to the Dota name, Blizzard had to change the name of the map to Blizzard All-Stars. The game underwent another name change in 2013 to what it’s known for today. Blizzard’s creation shares the same goal as other MOBA games. Both teams need to reach the opposite base and destroy and target structure. 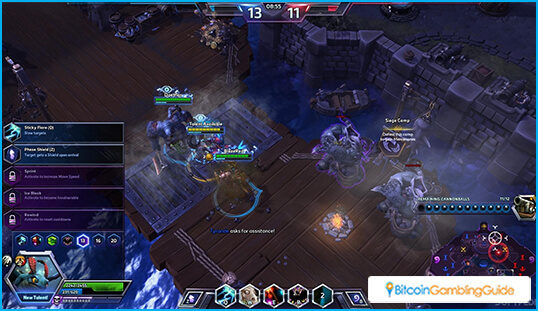 To reach any of the bases, players need to guide their heroes through three lanes. These lanes have ‘towers’ which can deal heavy damage to an enemy player. This game’s unique feature is the secondary objectives in the map. Players who take the time to do any of these optional objectives receive new units or weaken enemy structures. 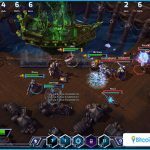 Blizzard tries to improve the team play mechanics in Heroes of the Storm. One way of doing this is to pool every player’s experience. This way, there will be no hard feelings among players who beat the opponents’ heroes first. This helps to bring down the toxicity in between players. It also encourages people to play support and specialization heroes. Bitcoin gambling on any of this game’s matches is available in numerous sites. Players can simply make a wager on which team they believe is going to win the match. There are also other bets available in the game. The one most wagers pick is the ‘outright bet’. This is where a bettor choose which team is going to win a certain tournament or event. 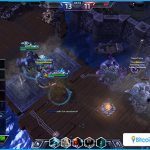 The gameplay and characters of Heroes of the Storm are the reason many eSports fans tune in to make a wager on almost any matches.